32-year-old chess grandmaster Pentala Harikrishna is top chess nation India´s second highest rated player, after former world champion Viswanathan Anand. He learned how to play chess at an early age, after watching his grandfather play, and rapidly developed into one of the strongest players of his age. Among his many early successes are winning the under-10 World Championship and the World Junior Championship (in 2004). In 2001, at the age of 15, he became India´s youngest chess grandmaster ever. After having made steady progress and reaching +2600 in ELO rating, he decided to move to Europe, to be able to play more tournaments and strong team competitions like the Bundesliga. In 2014, after his rating being stuck just below 2700 for quite a while, he finally broke through the 2700 barrier and has stayed there ever since. For the last five years, he has belonged to the top 30 chess players in the world. According to himself, he does not like opening preparation and is quite happy to reach a position that neither he nor his opponent are familiar with, and then take it from there. 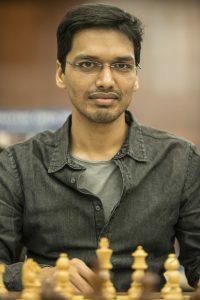 Harikrishna is known as a solid, cautious player, who seldom loses a game. He is also known for his excellent endgame technique and strong nerves. He has often said that he feels less pressure than most top players, since he simply loves to play and is not always concerned with the tournament results. 1) How many years have you played chess professionally? 2) At what age did you learn how to play chess? 3) Who taught you how to play chess? 4) What was your first big tournament success (tournament win or similar)? 5) Do you sometimes also participate in other sports/games? If so, which and at what level? 6) Do you have any family members or relatives that also play chess? If so, who and at what level? 7) What would you be doing today, if you did not play chess professionally? 8) What is your main strength as a chess player? 9) Do you have any superstitions when you sit down at the chess board before a tournament game? 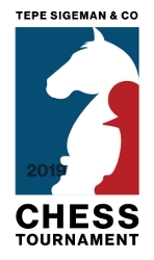 10) What do you hope to achieve in the 2019 TePe Sigeman & Co Chess Tournament?